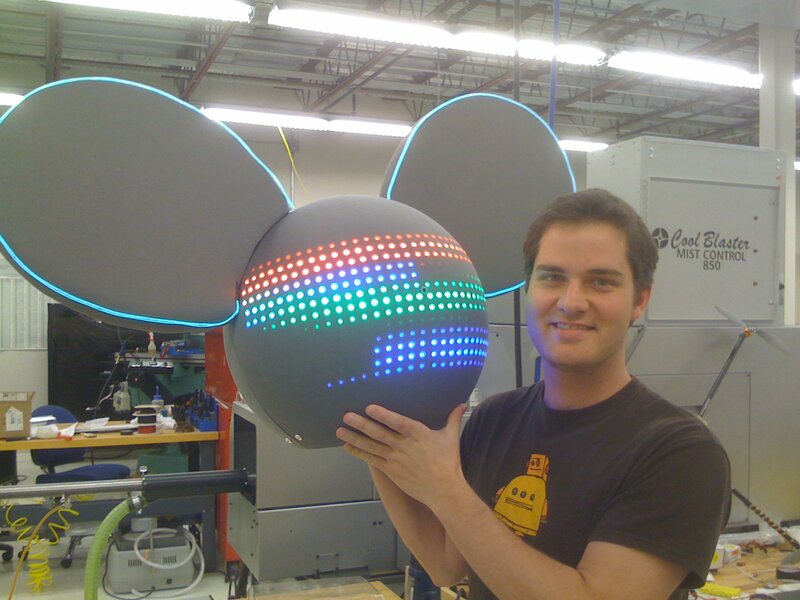 Late last year I was contacted by a Deadmau5 fan and commissioned to build a replica of the Mau5 LED head used on tour and on the MTV video music awards. The finished project just debuted at Comic Con 2011 this weekend. Unfortunately I can't post or say much about this project. Here are just a few build pics. 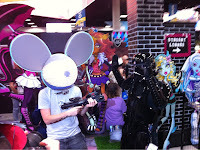 Also enjoy a few stats about the head and some photos taken at Comic Con below. 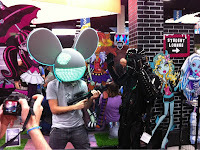 Animations seen at Comic Con were created by Chase Levin and ThinkMotion. hey AWESOME JOB BRO!!! super KUDOS!!! very cool! how did you make this and what materials did you use? Email me if you can thank you! Brilliant job on the head. 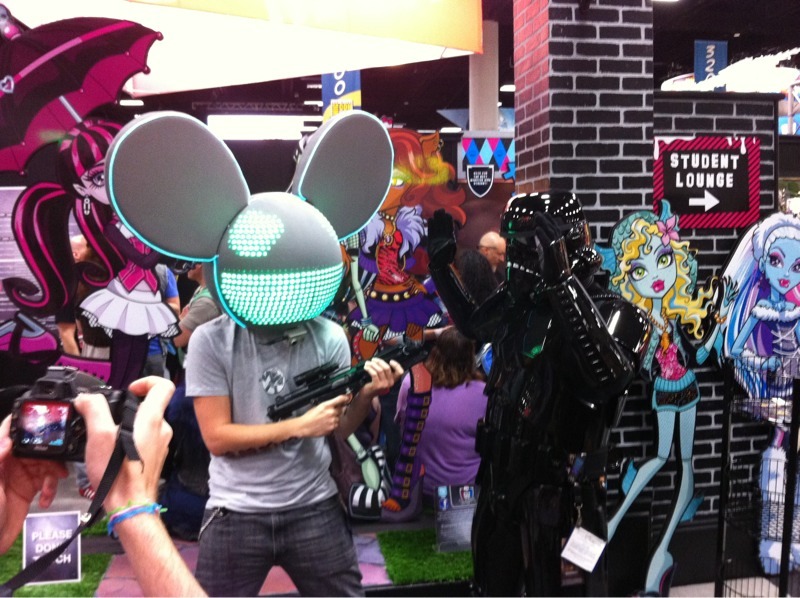 May you please provide a quote for this head and for Guy and Thomas helmets (Daft-Punk). 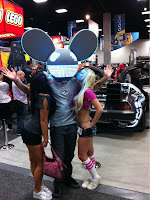 I have purchased custome Mau5 heads before that were $500+ so I understand how expensive they can get. I buy them as I find them a fun kind of art. Heh. I was wondering what the price tag on this build was, and if you'd ever do it again. 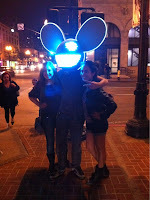 Your work is phenomenal.I NEED a similar head constructed using the prototype I made. I would like to commission you to create said piece. You're a genius, you know this right? The amount of work in this is absolutely phenomenal. Blowing my mind... Well done. Sweet Job. Whats the mapping program you are using in those pics? Please contact me with a quote if you are willing to build another one. Thanks! That thing is totally unreal. You should consider writing up a how to and selling the plans. I'm guessing this could be made for around $1000 if you know what your doing, and there are so many Deamau5 fans on the net that would gladly pay to have something like this. I included. i'm going to be building a similar kind of project and i was wondering if i could ask you a couple of questions, it would be greatly appreciated. 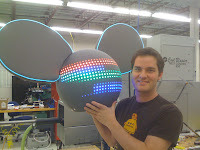 Hey there great job on the mau5 head!!!! If you have the time do you think you can email me a price estimate on how much one of these would cost I really want one. My email is kristianmolina21@yahoo.com thank you. I am 13 and I was hoping to build can u email me the schematics at Dcrovo1234(at)gmail.com email if you can. Can I pay you to make another one? If you have the time. I'll supply the cash. 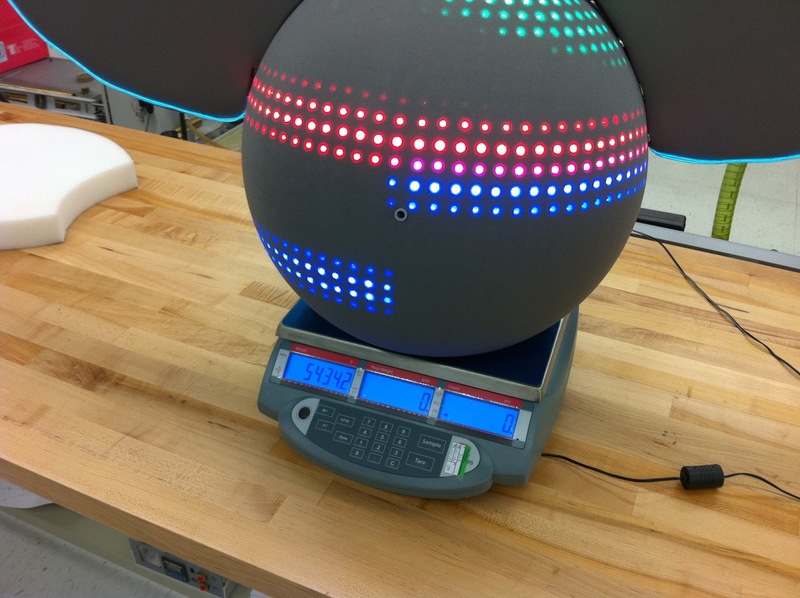 Hey you did a amazing job on this project its flawless I'm actually thinking about doing one myself just wondering if you can give me some pointers on what which LED's you used and where u got them from and a little explanation on how you positioned them on the plastic globe. A little help and pointers or maybe even a tutorial would be greatly appreciated :). My email is L6mlick@yahoo.com I will be looking forward to hearing from you and again spectacular job!!! I too would also like to commission you to produce the above head mask. If you could contact me on andr3wt@hotmail.co.uk I would be extremely grateful. Congratulations on such fantastic work. Wow your amazing man. if its ok would you be cool teaching me some of your technique. On how to go about doing that. im 22. and i would love to learn man. My email hyacinthehue@gmail.com and i do alot of things as in shooting , editing , videos and creating some 3d stuff as well. here one of my video http://www.youtube.com/watch?v=KXmsXm5yDug. How did you wire the RGBs together? I tried multiplexing, but the quality was very lacking. Please email me. What program do you use to do the animations? what kind of pcb did you use to mount the rgbs to? Or if you can't say, can you say who can provide any information? I would like to commission you to similar piece. im am from Brazil, Iove your head,very very beatiful. I was thinking, if you can sell me that one ? Wow you certainly have many comments here, and it's a job well done. 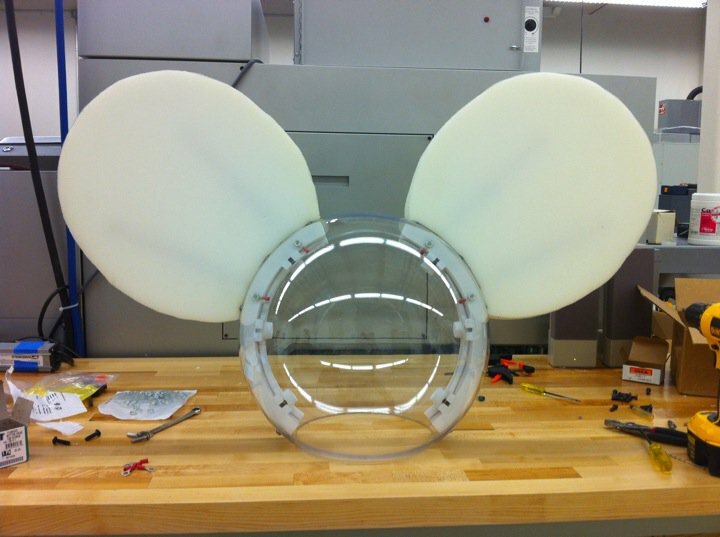 I am not looking to commission a mau5head, but rather mau5eyes for a mau5head I am working on right now. 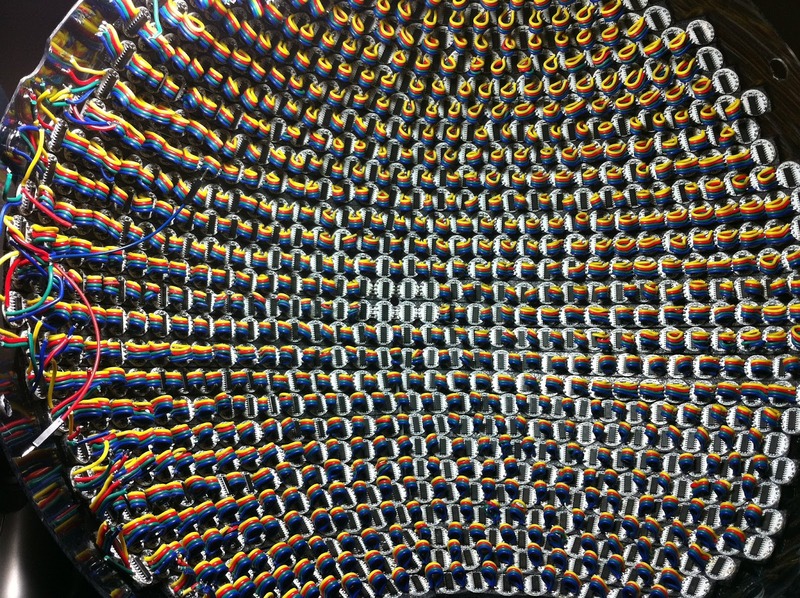 A tighter LED matrix would be needed, but the same build concept(s) apply. However the matrix would be live controlled by an on-board computer with a liquid simulation and rendering engine, quite possible ran by an iProduct such as iPhone or iPod touch. Would you be interested in discussing this further? Hey man, the helmet is awesome you really did a great job so I've got one question... How much would you charge me for one? Email me a quote at Skrillex178@gmail.com, I look forward to doing business with you! 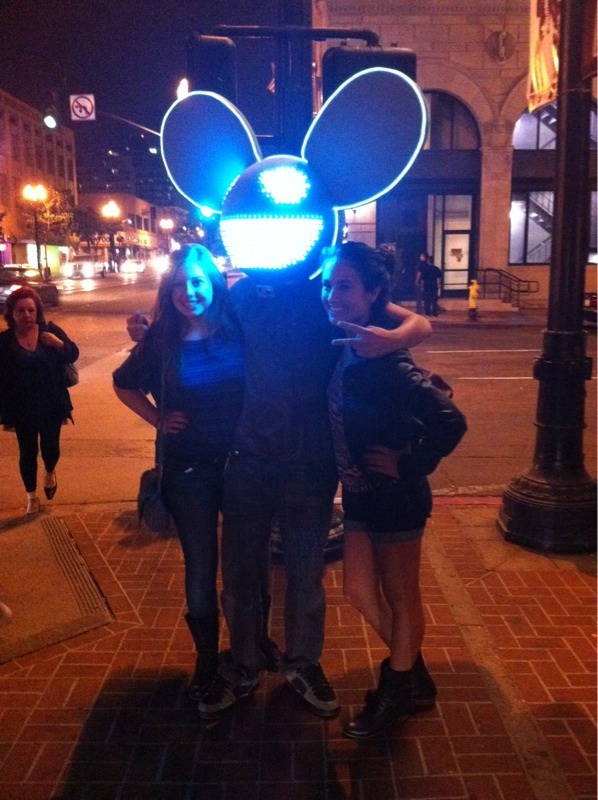 Can I buy this mau5 head? Its perfect. 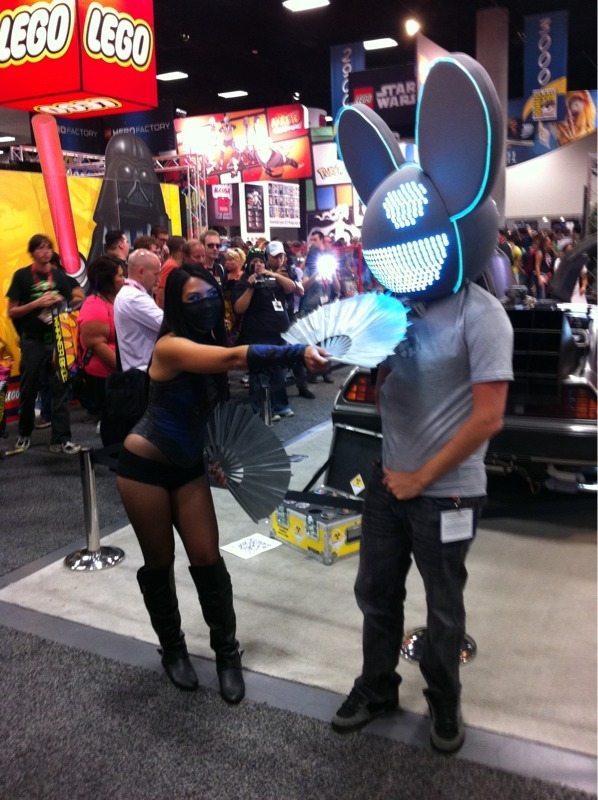 I've always wanted one, but the other mau5 heads are lame. Email me at ckingdon88@gmail.com. that would be awesome if I can have the one from MTV music awards. 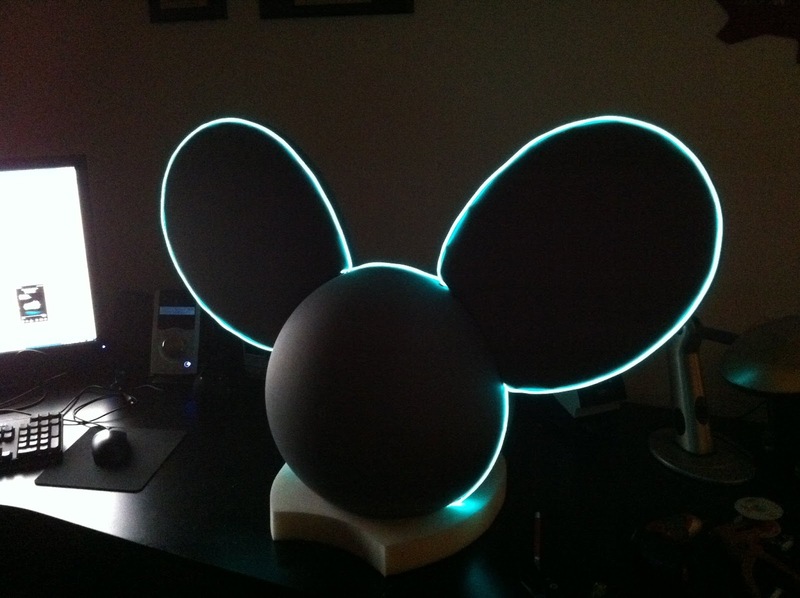 hey amazing job with this btw, ive been trying to make one by myself but i dont know what fabric to use also i seee that on yours you were able to put the leds inside but for mine i drilled holes and put the leds on the outside. Could you explain to me the concept my email is shaik.danish97@gmail.com, any help would be appreciated!!!!!!!! 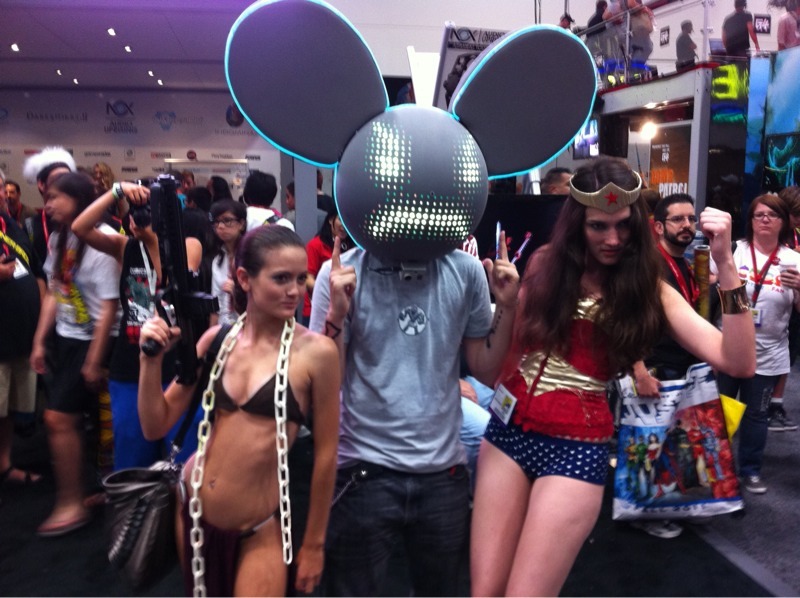 Hey I have been looking forever for a LED Dead mau5 head like this. Could you create me one and I will pay you for it? Also I forgot to leave my contact. If you could just email me at ioh3@msstate.edu. PLEASE contact me As Soon As Possible. 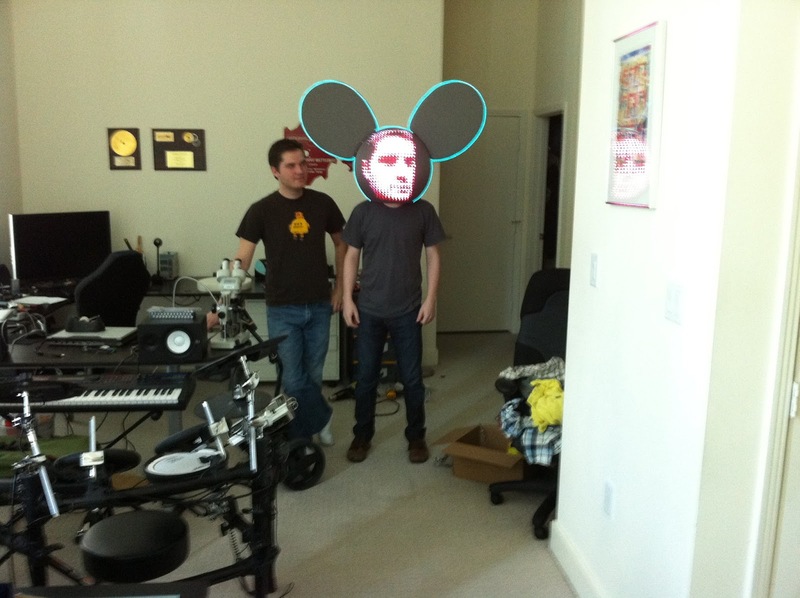 I am throwing a big party and desperately need an LED deadmau5 head. Thank you!! Hi. You do amazing work. I was wondering if you could help me out a bit. If a commission is needed, then we can negotiate. 1. Brackets that connect the 2 halves of the globe. 2. Program used to create the animation of the LED's. Lol. Maybe I'm just that kind of guy who looks at the picture on the box, and then gets to work, but the images above pretty much tell the story. ;) Get your soldering iron out! I'm planning on building one myself ,but I need to know where you bought your leds and did you use a transistor or what. 1. Looks like each of your RGB LEDs has a controller on the back. Did these come installed with the LED? If not, what are they? 2. What is driving the matrix? I assume it's an open-source micro-controller set, like Arduino. 3. Did you write the animation programming software yourself? I didn't bother looking around for any, since I could write my own in a couple of hours, and have it produce Arduino code specifically for daisy-chained Adafruit backpacks (yeah backpacks... call me lazy). 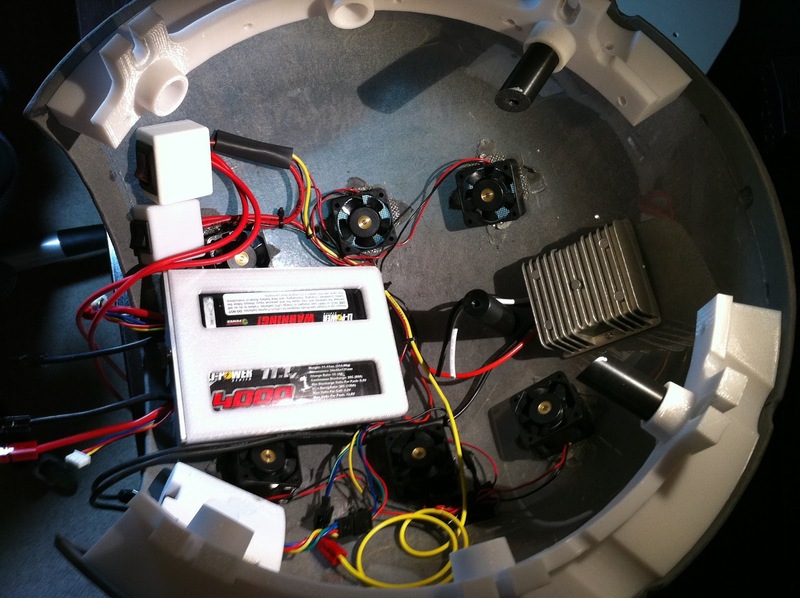 Also, while looking at a couple of Daft Punk helmet builds that have some large toggle switches, I thought it would be nice to install an external membrane potentiometer, used to control animation. 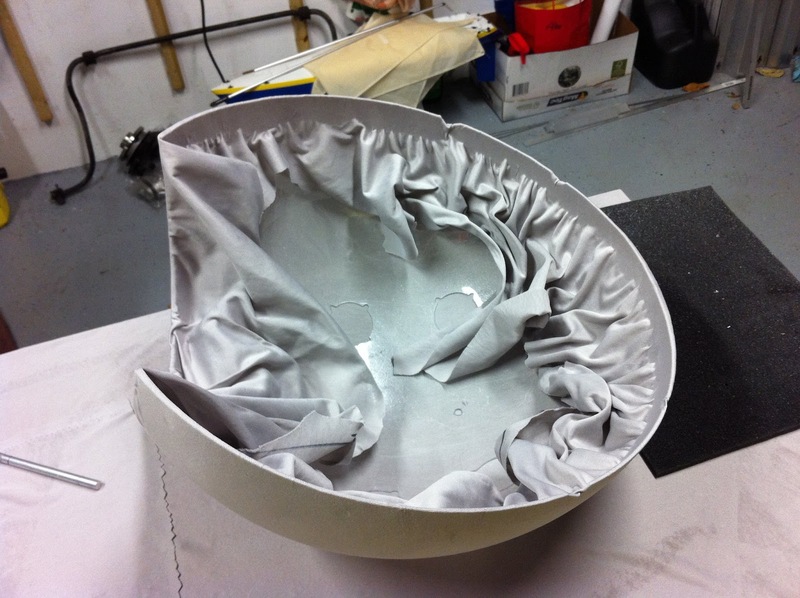 The membrane is easily hidden, since it is flat and easily concealed or blends in to the design. The membrane can be used either like buttons, or a slider control. 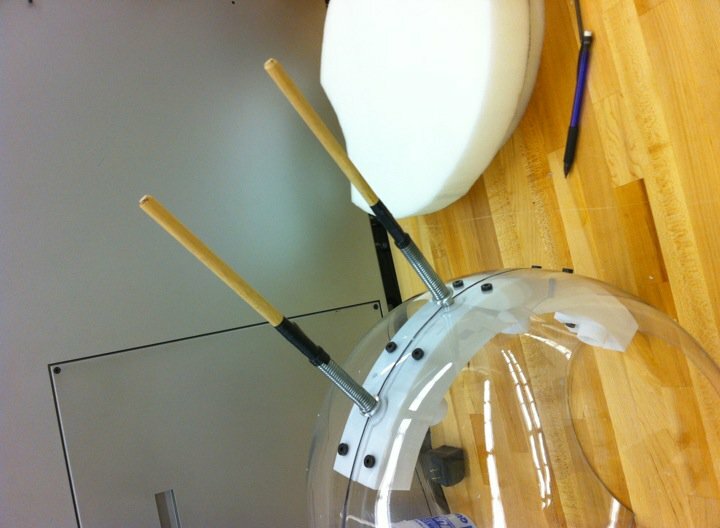 I also thought about using flex sensors weaved into the fingers of a glove, to discretely control animations. 1. Why does the center of the face plate have a hole in it? To mount a camera? 2. Why aren't all of the LEDs bare soldered instead of wired? I assume to prevent shorts and breaks? What kind of paint did you youse to paint it? INCREDIBLE WORK.. I would like to know how much it would cost to have one made.. Thank you so much. Please email me at marinepupz@gmail.com. hey man i was wanting to maybe make one of my own. do you think you could send me a parts list and prices. I am fairly sure you have been asked about this before. Would it be possible to buy the schematics, wiring diagrams, codes, product information about this project? Please do contact me with any information, as this is simply amazing.